I LOVE cupcakes! Where do I find the best ones in town? That’s easy: Michelle’s cupcakes are delicious – once you’ve tried one, you can’t help but love them! The founder of Michelle’s cupcakes and the owner of the beautiful new store at Luisenstrasse is Michelle. She loves homemade baking goods and creates her cupcakes with a lot of passion. There is a wide range of different tastes and normally 1 or 2 weekly specials. At the store, you can’t only buy her little delights, but also exquisite accessories on the subject of baking, cakes, kitchen and bath. 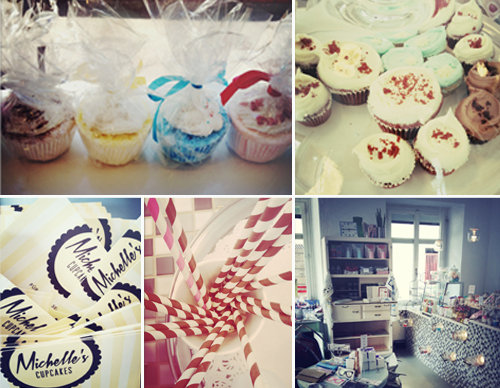 Leaving the shop, packed with sweet treasures, you will be sure about one thing: Life is a cupcake! This weekend, the largest and most important freestyle sport event in Europe will take place at the Landiwiese in Zurich. Freestyle professionals from all over the world will be competing in the categories snowboard, freeski, FMX and mountainbike. And YEAHHH: they are finally welcoming girls on the Big Air! But there is more than sports to enjoy during freestyle.ch: different concerts and parties make the heart of the night owls and music lovers beat faster and the shopaholics can choose their hoodie or snow goggles out of more than 100 brands at the Label World. Check the website for further information about tickets, program, riders, parties and labels. I am looking for “un po’ d’Italianità”. Where to go? Caffè: The coffee at La Stanza is one of the best in town. The good vibes will get you immediately and make you forget time. Once you’ve finished your coffee, you’ll have a cappuccino, followed by a vino rosso, followed by…. And a few hours later, when you leave La Stanza, you are positive about coming back. Aperitivo: The Café Milchbar is located in the heart of the city, right by a cosy inner courtyard. Order a drink and get exquisite bits along with it – just like you would in Portoferraio or Bari. Cena: If you are looking for excellent food, but prefer a down-to-earth atmosphere and authentic Italian dishes, Cinque is the place for you. Make sure to book ahead! Gelato / Pasticceria secca: Paolo Caredda, a confectioner from Ischia, is known internationally for his Sfogliatelle, Amaretti and Gelati. They are heavenly! And the best thing is, that you can enjoy all of these delicacies in Pastrys Caredda magnificent old-fashioned and Italian atmosphere. 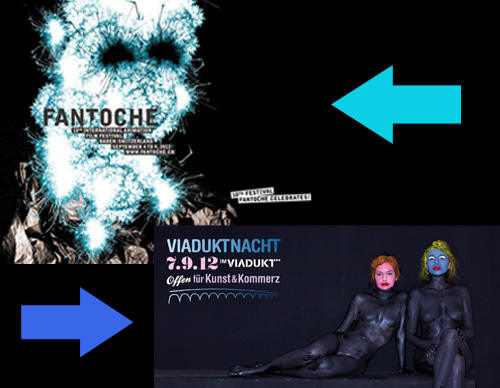 One of them is Fantoche, an important International Animation Film Festival, which takes place once a year in Baden. During the next few days, it showcases the best and most interesting new examples of animated short film production worldwide. It is also the first port of call to get to know the latest works by Swiss animated film producers. Travel the short way to Baden to enjoy animated movies from any of the categories. You won’t regret it! The other event highlight this week is the Viaduktnacht on Friday, the 7th of September. We already wrote about the Viaduktbögen. After it was a big success last year, they invite you again this year to their 2nd anniversary with open shops until 11pm, readings, exhibitions, concerts, delicious food and refreshing drinks.